AHi, and thanks for writing in. We want what libertarians want (which is, in fact, what almost everyone wants): freedom. A society where our choices aren't based on economic coercion or political repression, where we no longer need police and jails, and where we work to make our lives and our world better, instead of having to generate profits for a business owner. There many ways of describing communism: a world where "the free development of each, is the condition for the free development of all" (Marx); a society based on freedom, rather than necessity (Engels); "the unfolding of human genius in conditions of supreme social liberty" (Alexei Tolstoy). We disagree with most libertarians on two points. First, libertarians tend to think of freedom in purely individual terms: freeing every individual from the constraints imposed by government. We see individuals in the context of their role in the economy. (That role is what we call 'class'). Some are capitalists, who own property that enables them to make a profit from the labor of other people; others are workers, who furnish the labor that produces value, but receive in return only a small part of the value they produce, as a wage. Property rights for the capitalist and freedom for the worker are incompatible. And that's the second point of disagreement, usually. Libertarians often talk about 'corporatism' or 'crony capitalism', suggesting that capitalism would promote freedom if the government stayed out of it. For us, capitalism itself is the problem. As long as property gives one person the right to control and subordinate another, real freedom isn't possible. So we say that freedom requires abolishing class differences altogether: no more wage-workers, no more shareholders, just people working in a society based on collective, democratic control of resources. So, how would that look here? Communism can't be built right away. Society will pass through a period of socialism first, where the big capitalist firms will be placed under public control, working for the collective good rather than the benefit of a few shareholders. Energy companies, banks, and media monopolies, will be broken up and placed under the people's control. Development will be based on human need rather than the unsustainable imperative of limitless growth. This will require developing new democratic institutions at every level. We call our vision Bill of Rights Socialism, since it's based on overcoming the limitations of capitalism and expanding the democratic framework that already exists in our country. Hope this gives a sense of where we're coming from. 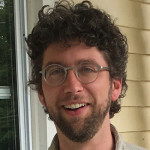 Scott Hiley has taught French, literature, history, and philosophy at the high school, college, and post-graduate levels. A member of CPUSA since 2010, he is active in struggles against austerity and for education justice and labor rights. His articles have appeared in the People's World (US), the Morning Star (UK), and l'Humanité (France). He lives in a rural town in upstate NY.